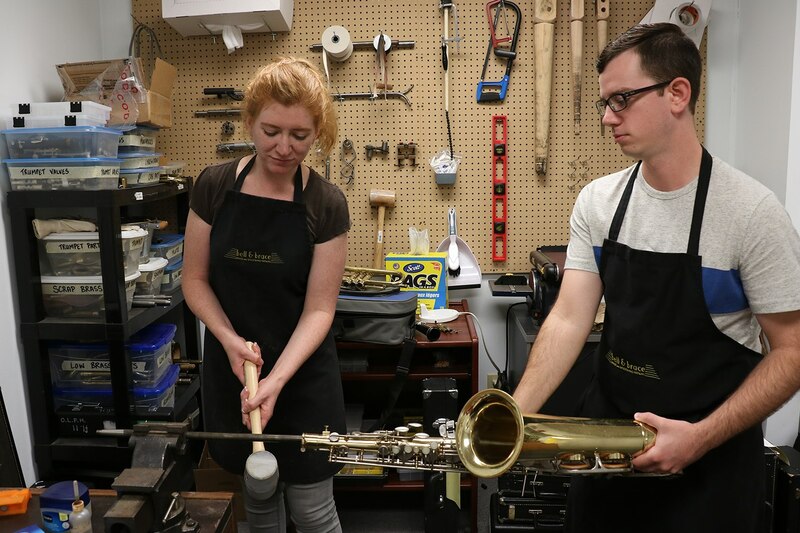 Nicole and Gavin met at Keyano College’s Band Instrument Repair Program in Fort McMurray, Alberta, one of the country’s only technical instrument repair programs. Nicole moved to Langley near Vancouver after graduating to learn more skills on the job. 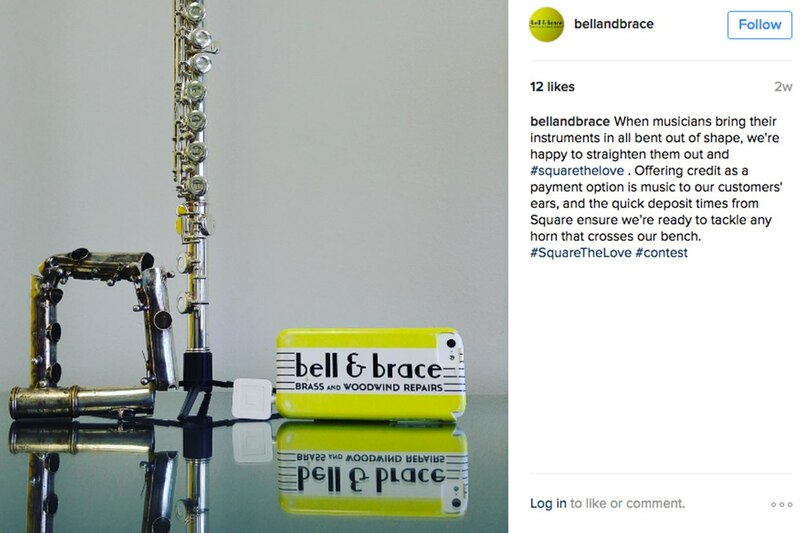 She then relocated to the Windsor area and opened Bell & Brace in May 2014 after sensing a need for a technical repair shop in the area. Gavin helps out with repairs when needed. Hearing that she’d won the contest was music to Nicole’s ears, and the prize money will start her married life off on the right note. 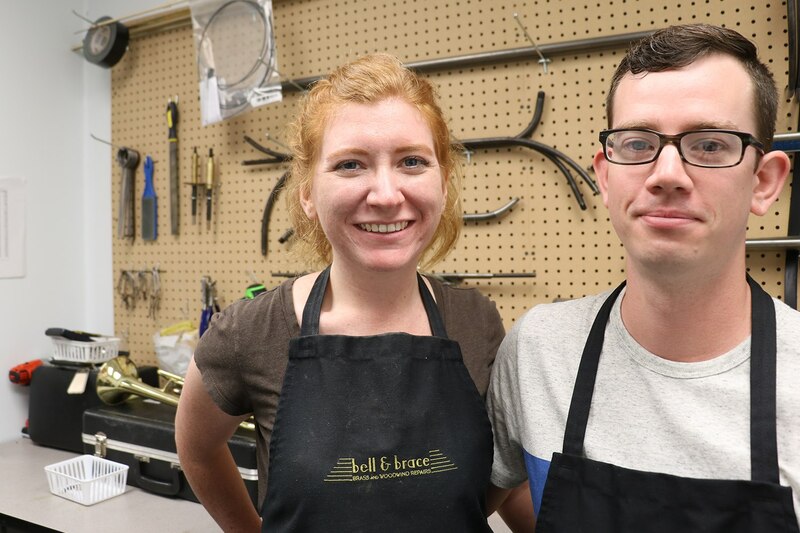 “The $1,000 will go towards a couple of new tools for the shop, but we’ll definitely set some aside to celebrate with a camping honeymoon!” she says. Nicole is thankful to Square for the opportunity. “It’s always fun to participate in something that shows off your business and lets you get creative in the process,” she adds.